Dining room furniture from Mexico in hacienda style. It is handmade, rustic and very unique. Copper table tops with Spanish designed bases are most noticeable. 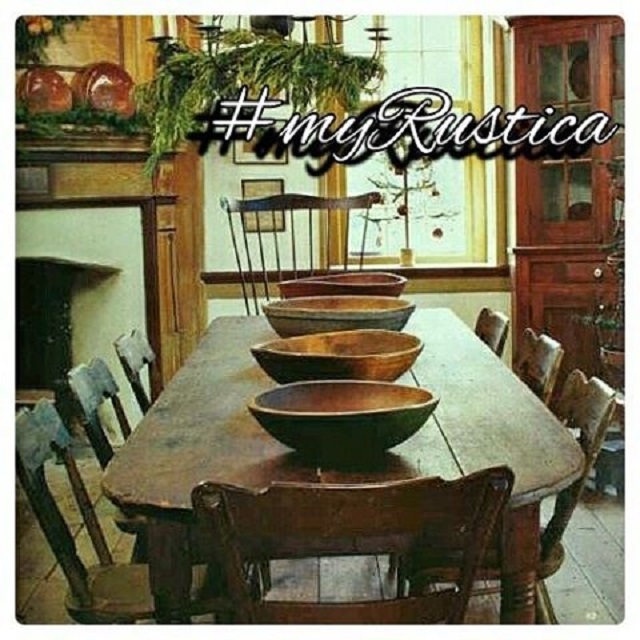 They are used for furnishing old European and country style decorated dining areas. 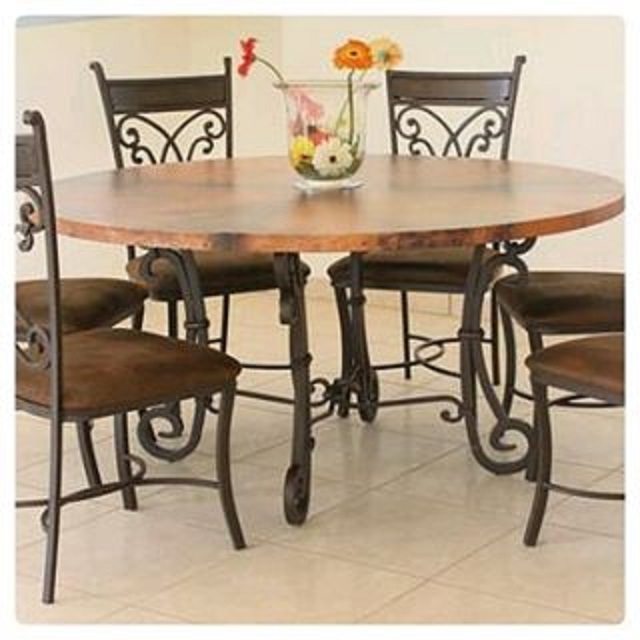 Forged iron chairs, tables, mirrors and talavera tableware make beautiful rustic dining room accents. 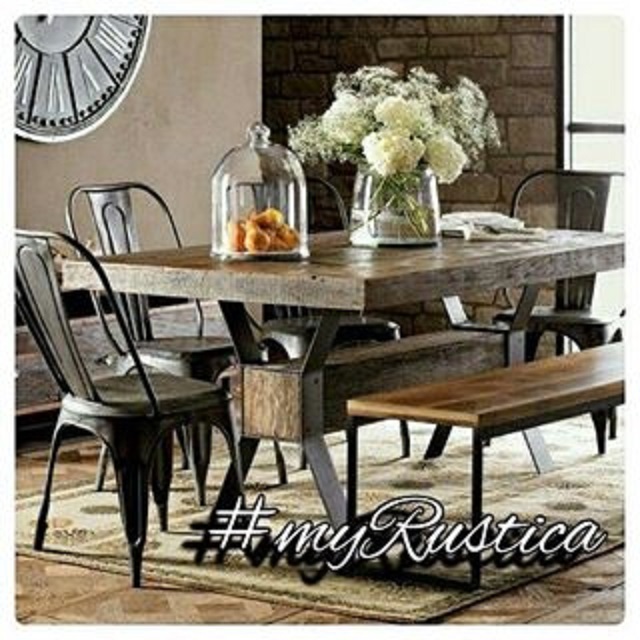 Hacienda black iron chandeliers and rustic floors covered with red clay ceramic tiles complete the entire dining room decor injecting southern flavor to the home decor overall.